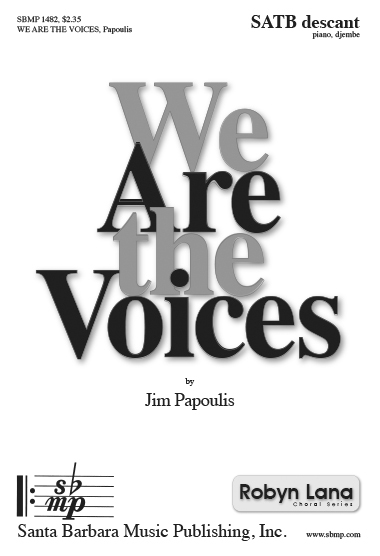 We Are the Voices, Jim Papoulis | Santa Barbara Music Publishing, Inc.
in every heart there is a place that finally I can see. if I listen when it calls. Look around and you will see it. finding a voice that will free us. as we finally see who we are. and that is standing up for who we are inside. We stand up tall so we can feel the unity of who we are inside. We feel a way to see who we are. I am breathing the fire of my soul. I am breathing who I am inside. I can feel the fire in my soul.